Q-Care Affordable Medical Care, PLLC (Elmhurst) - Book Appointment Online! 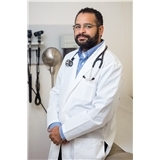 The practice is a Queens-based primary care medical practice for adults and children whose aim is to be a comprehensive patient-centered/family-centered “medical home” to the community of Western Queens – Astoria, Corona, Elmhurst, Jackson Heights, Long Island City, Maspeth, Sunnyside, and Woodside. The practice will provide premier coordinated primary medical care that is affordable, respectful, culturally-competent, and electronically-based with measurable and modifiable quality care indicators. Office base procedure such as botox for migraine, knee injection and shoulder injection are offered as well. Office staff was helpful and kind. Dr Charlotten is thorough and explains things clearly.